My boyfriend and I had been "going out" for almost a year before I knew about his Magic stash, his dirty litte secret. During our initial dating phase I think he'd alluded to it, but it was vague and whitewashed: "My friends and I played card games sometimes." It was December 2008 and Portland was enjoying a rare snowstorm. "Storm" here means any amount of snow on the ground and a lot of hype by the local media. In this case, the amount of snow was several inches and the city basically shut down. As ridiculous as this behavior probably sounds to anyone from the midwest, when it comes to snow I'm always grateful for Portland's classic overreaction. I was born during a snowstorm, I love snow, we never get it. It brings rural quiet to the city and turns any dingy old yard into a beautiful vista. Pothole-ridden streets become sledways. It's mandatory stillness, a reset button. I cherish snow days. Near to twilight we were deciding what to do for the evening. Futurama, Firefly, Rescue Me episodes? A little jaunt to Green Dragon? Everything seemed a little tired and redundant. I was starting to feel resigned to finding entertainment in a few more home-made Manhattans and crashing early, when somehow we got on the topic of embarrassing nerd-outs we did as kids and also video/computer games we wished we had around. So my boyfriend talked about his favorite author (Neal Stephenson), days as a pubescent Anarchist, and something really nutty called Steam Punk...while I was extolling the virtues of Diablo II and how it got me through part of my depressing first marriage, and sat there sipping Blanton's and telling him I wanted a Super NES now with Link to the Past and Mega Man X.
I'm sure the Dragonlance fixation entered the discussion. 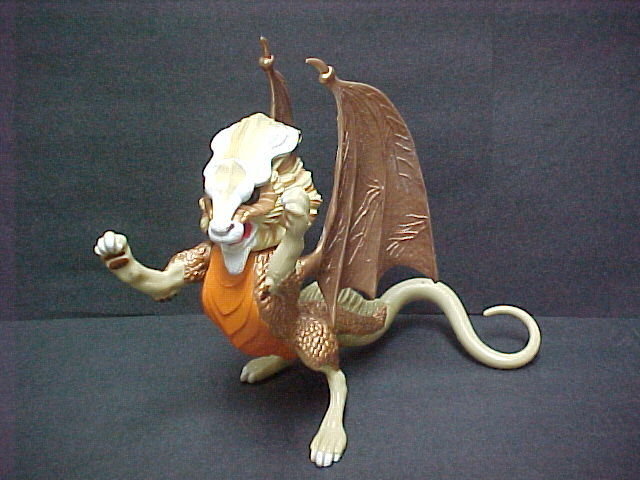 Which probably led me to talk about D&D, how I'd never played it, but always seemed to have known of it...How my dad would take me into Excalibur Games at the old version of Lloyd Center mall and I'd buy D&D action figures just to have <----cool monster dolls. How I'd buy D20s just to have sparklies! "Ahem. I told you I used to play Magic, right?" "You mean like...Magic cards (what a faux pas, I didn't know it at the time! lol)...? Like Magic the Gathering?" 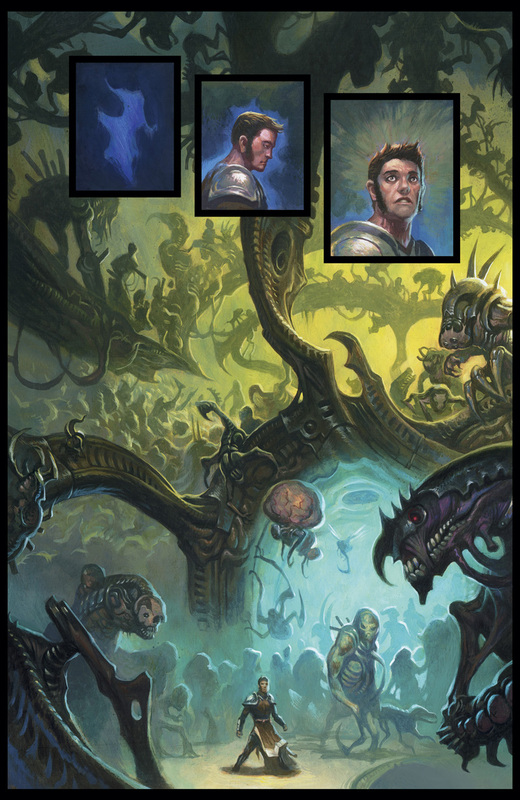 "Well, I still have all the cards," he said, seriously and with trepidation, kind of like I imagine Venser would sound if he said anything at that ----> moment. "You do? Here?! Where?" I said, truly flabbergasted; I'd never seen any cards around. In the basement. Like a dungeon. It was all so dramatic and wonderful. I smiled. "Go get them," I said. I will skip over a play-by-play of me learning the basics of Magic. The mana discussion was okay. The mechanics lesson was aggravating. My general grasp of it was quick, my application, awkward (my play still is). When he first walked up the dungeon stairs with his five or six huge white card boxes, I was speechless. In no time those boxes were opened and all the neatly organized, lovely cards were being plucked out and squinted at by me and my boyfriend was fielding a barrage of questions and enduring a litany of opinionated, feminine exclamations. "Tap? What's - oh right, you told me that already. Damn it. Well, I like this one." "Who's Volrath? The graveyard is where the dead cards go, right? I really like this." You get the idea. My boyfriend helped me build a red/white flyers deck, including: Earthquake, Skyknight Legionnaire, Abbey Gargoyles. He told me about synergy and mana curve and a bunch of other stuff. It was more fun than anything I'd done in years. It was like I opened a fantasy novel (how about Time of the Twins, just for favorites sake) and jumped in. There were dragons, and elves, and UNICORNS...!! !, and scary-looking zombies and vampire royalty and all of these amazing creatures and characters were alive and doing things, in my hand, in my head, on the battlefield. My boyfriend played an old Reanimator deck he already had built. Abbey Gargoyles came out victorious. The best metaphor I can come up with for the feeling that I had that night is this: Once when I was 12 or so my mom took my brother and I horseback riding at a local ranch. They always asked what rider level you were, and we always said "Intermediate" (even though we were barely Beginner) because the Beginner horses were dead-heads, nearly ready for the glue factory, and at least the Intermediate horses would move! I was stuck in the city, so there wasn't much choice for riding, at least to my parents' knowledge (they are not horse people). So here we were at this awful little ranch with these poor horses that had to live up to an overzealous city brat's expectations that she'd gotten from books. In my mind, every horse was going to be my Black Stallion, and these poor geldings just wanted to stand by the water trough and sun their old bones. Well, we got ole "Sticker", much to our dismay, even though we marked "Intermediate" on the damn paper. The better horses must have been on lunch. So here I was, sitting on Sticker, and behind me was my mom and baby brother sitting on some other dead-head pony. It was a sunny, gorgeous day and the ranch property itself was pretty nice - some wooded hills, mini-valleys, and territorial views. We moved out slow, plodding along the well-beaten trails (it was a free-ride ranch, as in you just went out on your own, without a guide). There were white clouds in the sky and little birds in the pines and Sticker and I were having a pretty good time. Toward the end of the ride, the horses would always get a bit more excited because going back to the barn meant getting fed. This day was no exception and as we turned in the direction of the ranch office and barn, Sticker's and the pony's ears pricked up. But this time, my mom turned to the right instead of the left, and we found ourselves on top of a rise with a grassy pasture unfolding below. The incline was a little steeper than we were used to, and the open field (and the feed buckets) were calling. Sticker and that pony took off running down that hill. I had never been so scared or so alive. I clutched that chestnut mane and tried to balance in the way that heroes did in books. I was Alec Ramsey, I was a knight, I was on the back of a pegasus. Sticker was moving like wind; a wild young stallion; a unicorn. For thirty-two sun-kissed and reckless seconds, we were free. That is what I felt like the first night I played Magic. This is what I still feel like when we play Magic. The boyfriend is now my husband. It's good to have a sparkly that sets you free when you need it. My advice is to find one, and keep it.